Play is essential for healthy brain function and reinforcement is an integral part of the ‘game.’ The reinforcement strategies you use will affect the behaviors being carried out and your canine clients’ desire to engage in them. Struggling to get a dog to walk on a loose leash, to go in a crate or to lie on a bed? Not sure how to aid relaxation and help ensure a dog remains happy and calm while you are putting on a harness or while there is thunder overhead? This presentation will provide you with much of the knowledge and skills you need to set you and your clients (both human and canine) up for success. You will learn how to create an atmosphere that is conducive to your canine clients’ well-being. Happy canines mean happy guardians and happy guardians mean recommendations and an increase in your potential client base. There are lots of positive consequences that result from learning about reinforcing the good stuff. Animals are learning all the time and we need to ensure the learning that takes place is appropriately reinforced - we need to reinforce all of the behaviors we would like to see repeated. This presentation will an overview of operant and respondent conditioning in the context of pet care processes, with a particular focus on positive reinforcement. It will delve into the what, when, where, how and why of reinforcement, take a look at different reinforcement (reward) strategies and how any chosen strategy will enhance or impede daily interactions with canine your clients. Understand the basics of how pets learn. Learn how your behavior impacts the behavior of pets in your care. Provide an overview of operant and respondent conditioning. Develop a greater understanding of the reinforcement process. Learn how to choose an appropriate reinforcer to enhance your canine clients’ ability to learn and thrive while in your care. Understand what we mean when we refer to primary and secondary reinforcers. Learn how to create a positive association with a head-halter, muzzle, harness, collar or other novel items. Louise Stapleton-Frappell B.A. (Hons), PCT-A, CTDI, FN-FSG1, CAP3 holds a force-free instructor's award, K9 first aid certification and animal behavior & welfare and dog emotion & cognition verified certification. 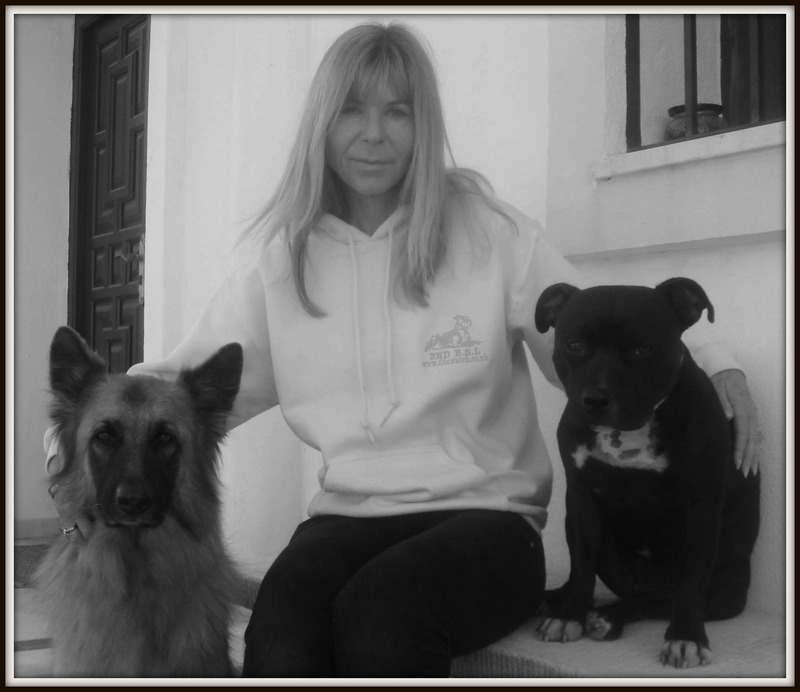 She previously performed as the Dog Trick instructor at In The Doghouse DTC; is the owner of Happy Dogs Estepona and is an instructor and assessor for the Pet Dog Ambassador program launched this year by the Pet Professional Guild. Stapleton-Frappell is a passionate advocate of force-free training, promoting a positive image of the "bully" breeds and advocating against Breed Specific Legislation in favor of breed neutral laws and education about dog bite safety and prevention. She is proud "mum" to Jambo - Staffy bull terrier trick dog: the first Staffordshire bull terrier to achieve the title of Trick Dog Champion. Jambo has appeared on Talent Hounds in Canada and was also featured as a Victoria Stilwell Positively Success Story. Stapleton-Frappell blogs for the Pet Professional Guild and is a regular contributor to BARKS from the Guild magazine. She is a steering committee member of the Pet Professional Guild and membership manager of the Pet Professional Guild British Isles; co-presenter of PPG World Service radio show; faculty member of DogNostics Career College; steering committee member of Doggone Safe and regional coordinator of Doggone Safe in Spain, where she is based. Stapleton-Frappell believes that everyone should know how to teach their dog using science based, rewards based, force-free training methods and that all learning should be fun. She is the creator of Training Meister, a comprehensive online force-free training program from DogNostics Career College, aimed at increasing the knowledge and skills of pet guardians and professionals.